A set of our most vibrant colors! Our most vibrant paint! 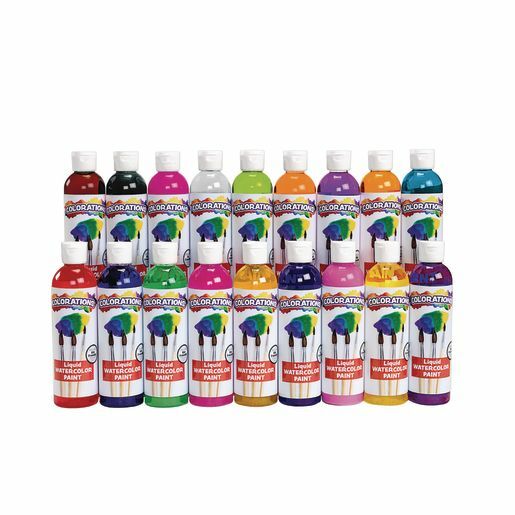 Longer-lasting and more colorful than traditional watercolors, Liquid Watercolor is the economical choice with so many uses. Plus, Liquid Watercolor is easily washable from skin and most fabrics and surfaces!. Set includes 8 oz. of all Classic and Tropical colors except white, gold, and silver.